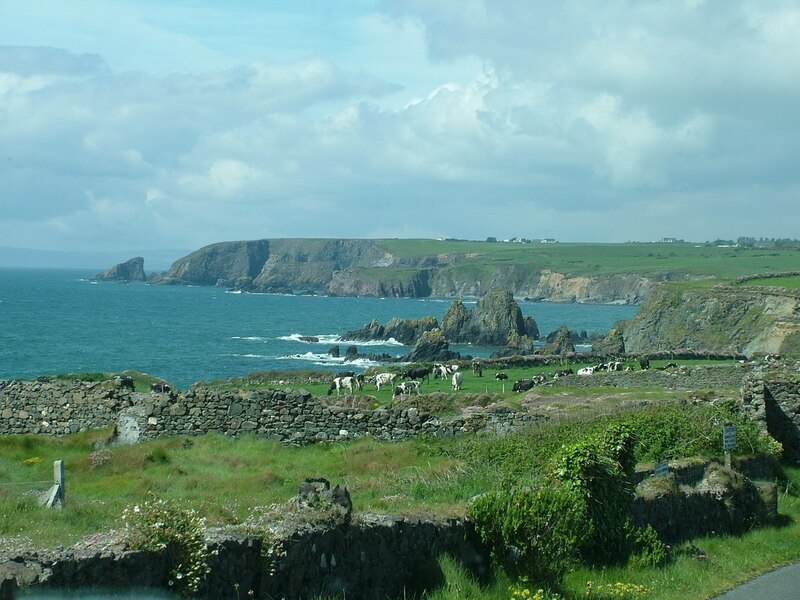 From Waterford, Bob and I followed the scenic coastal road towards our next destination, Cork Harbour. Sheer cliffs and pretty farms were visible all along the route, but it made for slow progress. As storm clouds hemmed in the sky, we eventually resorted to using the main freeway in order to achieve our destination by mid-afternoon. 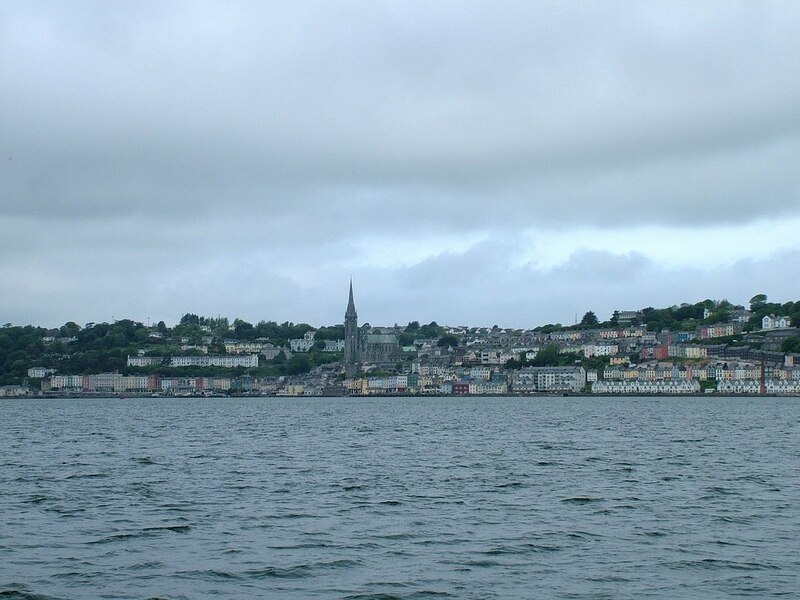 Cobh Town is located on Great Island, one of three islands in Cork Harbour. Getting to Great Island was made easy by using a causeway that links it to the mainland. 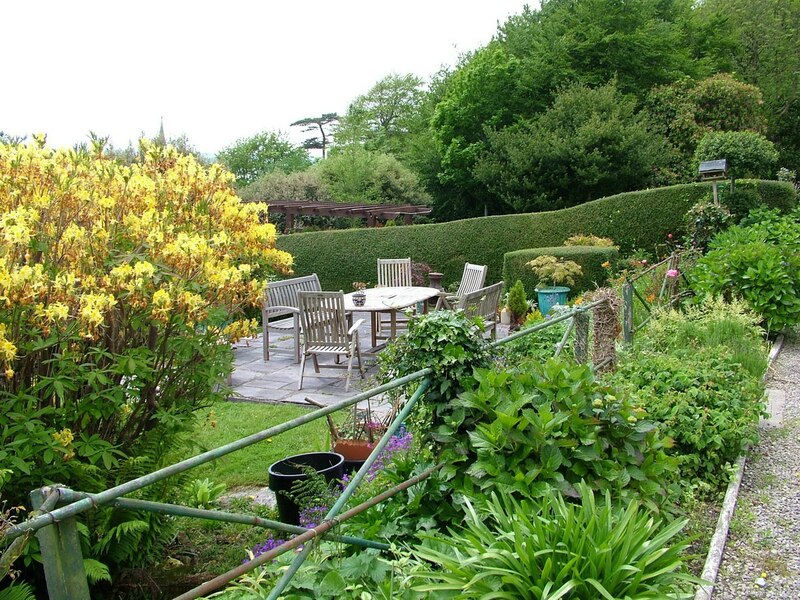 It wasn’t long before we pulled into the driveway of a charming Bed and Breakfast called Amberleigh House, which was to be our base for a couple of days. 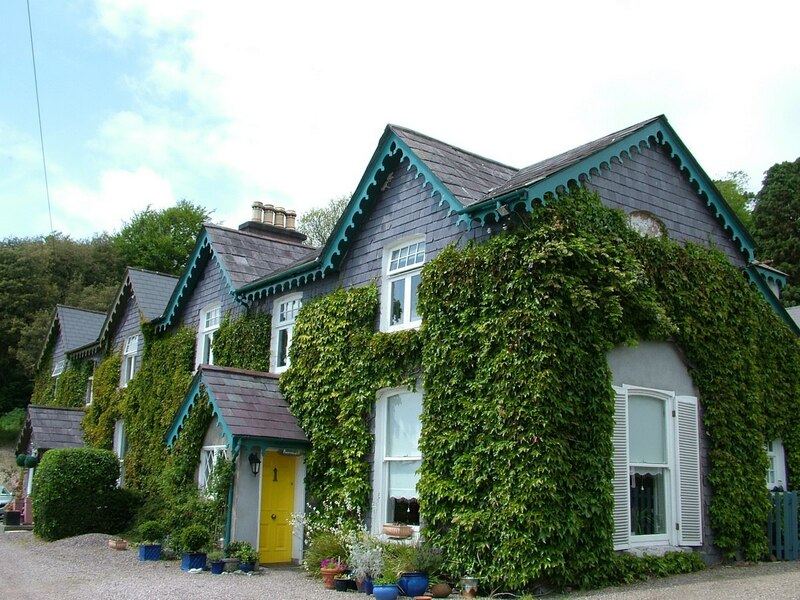 It is a period property built in 1835, and thus is replete with heritage details that render the structure both quaint and enchanting. 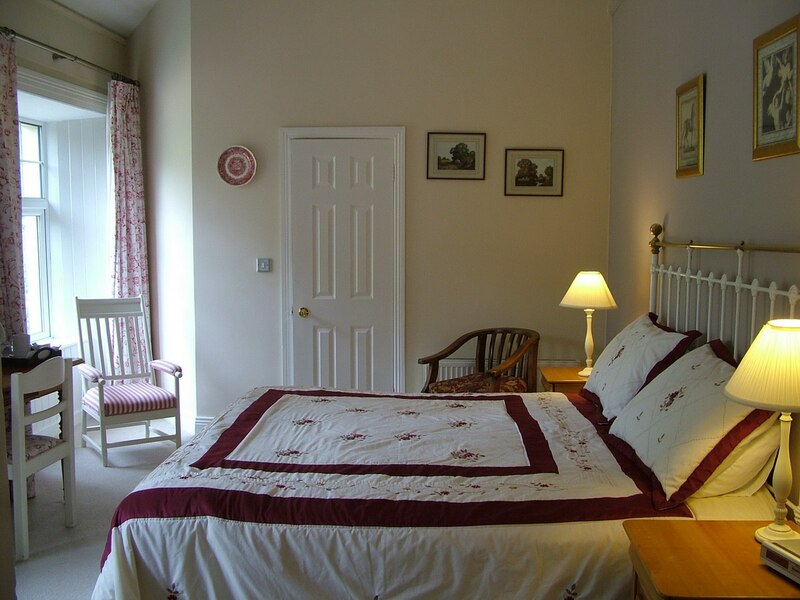 Our accommodation was a well-appointed, airy room on the second floor with two large windows spilling sunlight into the cozy space. I love a bird’s-eye view of anything, so rushed to one of the open windows for a look at our private vista. 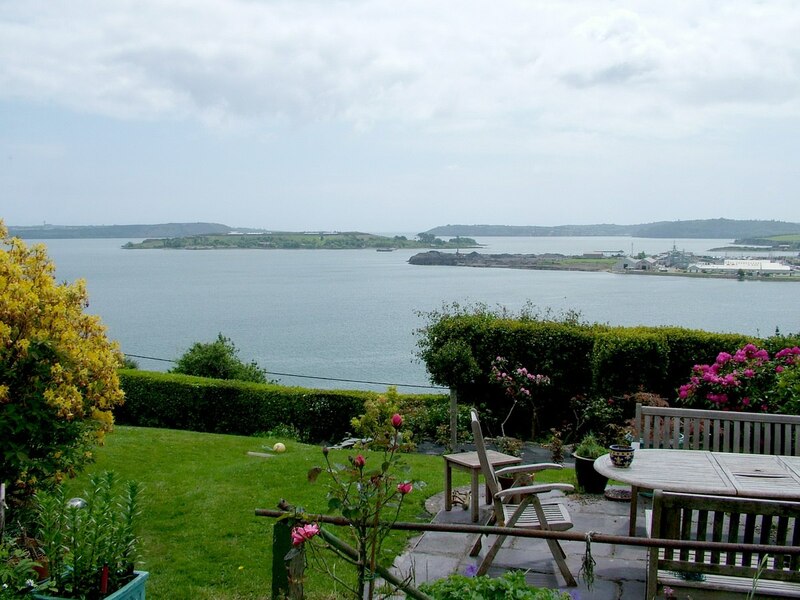 Being situated on one of the upper streets of the town, the house provided an unobstructed look at Cork Harbour as well as Spike Island and Haulbowline Island, both of which face downtown Cobh Town. After getting settled in, a walk seemed in order as we needed to stretch our legs. The sprawling 2-acre wooded gardens invited exploration,but in the end, Bob and I made the decision to scope out the downtown area in preparation for the next day’s activities. 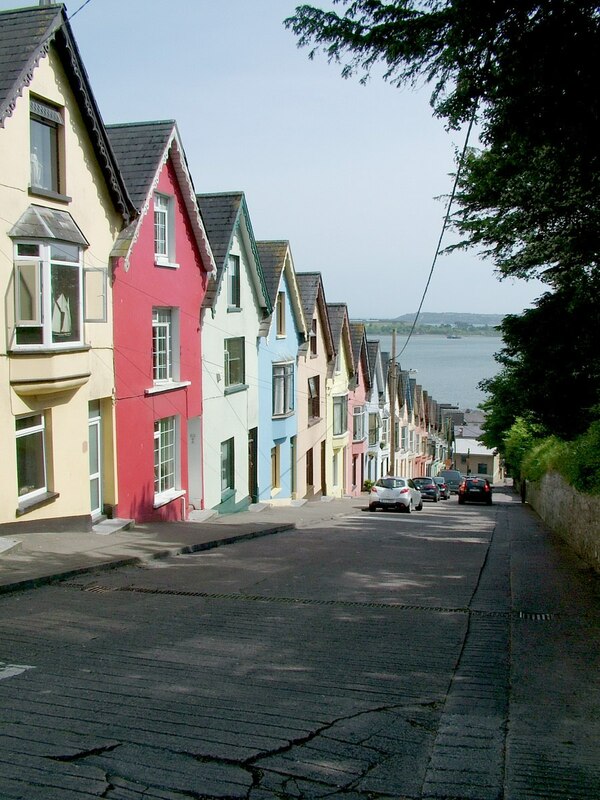 The Cobh Town spreads upwards on the hills circling the harbour, so it was necessary for us to descend a series of very steep streets in order to land up at harbourside. We were glad that our travels preceded the main tourist season because we avoided the hustle and bustle of thousands of tourists. 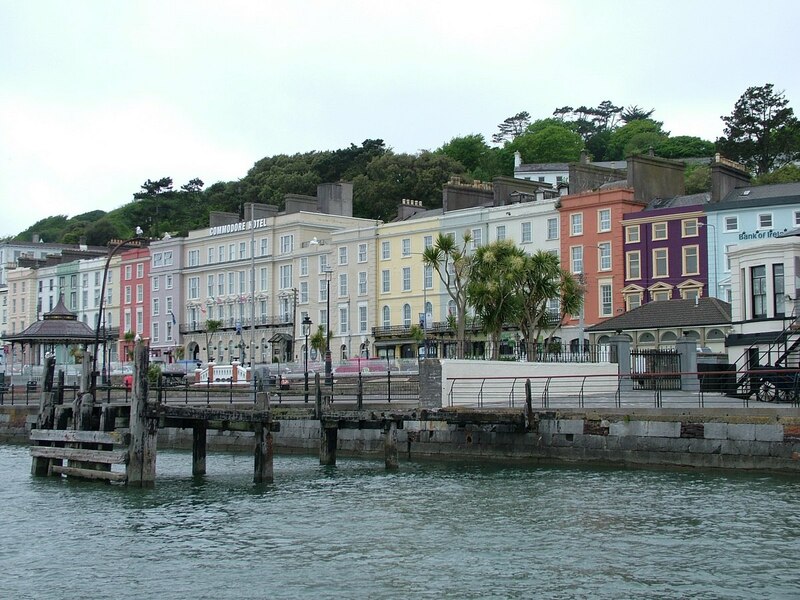 The pretty seaport town on the south shore of County Cork is a popular tourist destination with an immense maritime and emigration legacy due in large part to the fact that Cobh Harbour is one of the world’s largest natural harbours. 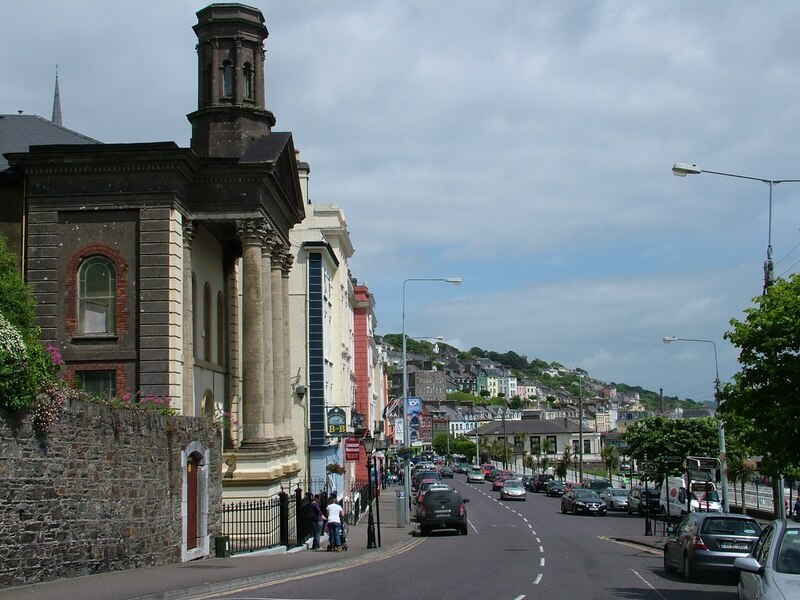 Add to that the fact that cruise ships routinely berth right in the center of the town at Ireland’s only dedicated Cruise Terminal, and this town has the potential to be very crowded. Here, we are looking at the wooden remains of the wharf of White Star Line Shipping Company where passengers departed to board RMS Titanic in 1912, on its fateful maiden voyage. 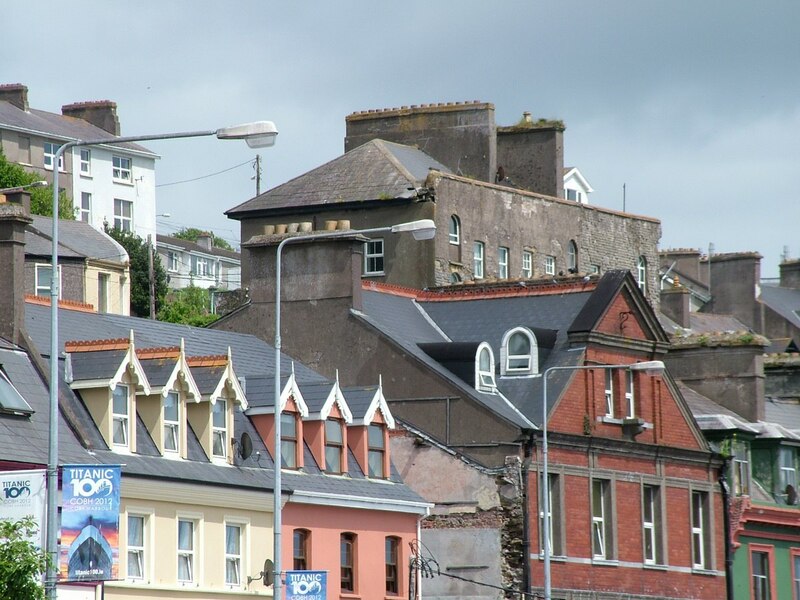 Since those early days of mass emigration, deportation and ship building, Cobh Town has remained virtually unchanged with the streetscape and piers almost a mirror reflection of the past. and artfully decorated with ornate gingerbread trim. 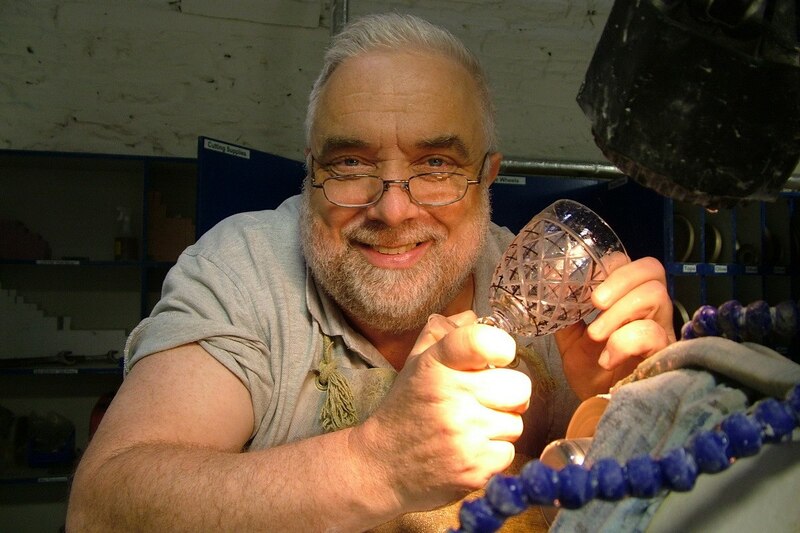 It reminded Bob and me very much of our visit to St. John’s, Newfoundland. In both places, when sightseeing, we were either climbing up sharply-inclined streets, or descending vertical staircases. 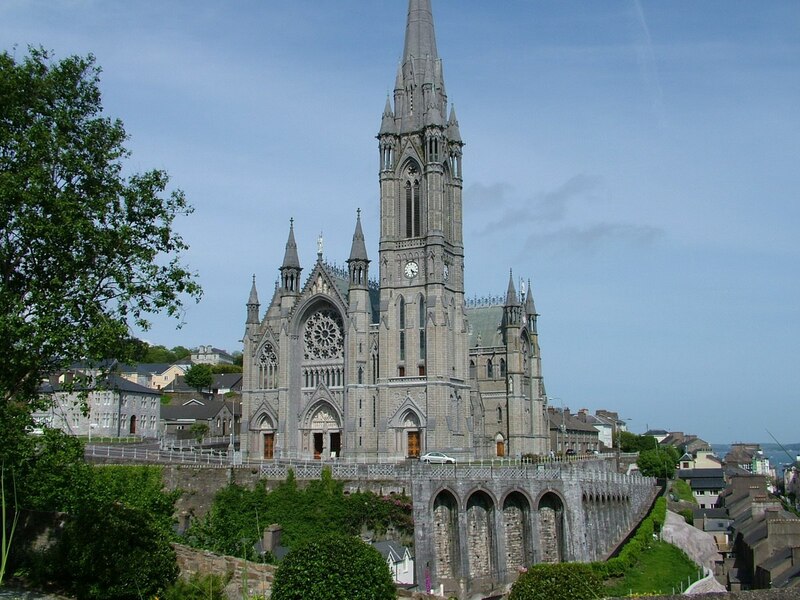 The picture-perfect scene is dominated by the presence of St. Colman, an imposing Gothic Revival Cathedral that sits on the highest point in town, and is set apart from surrounding buildings. 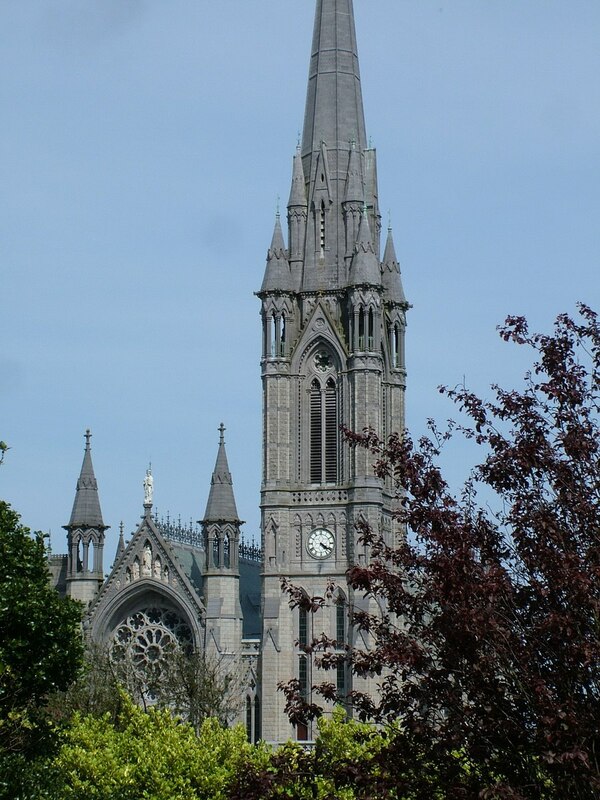 Bob and I observed the cathedral from all angles, plying the streets of the town on foot, and when viewed from town, the intricate exterior detail had us in awe. Everything from spirelets to pinnacles, gargoyles and flying buttresses all combined in a well-proportioned manner that made the cathedral truly beautiful. 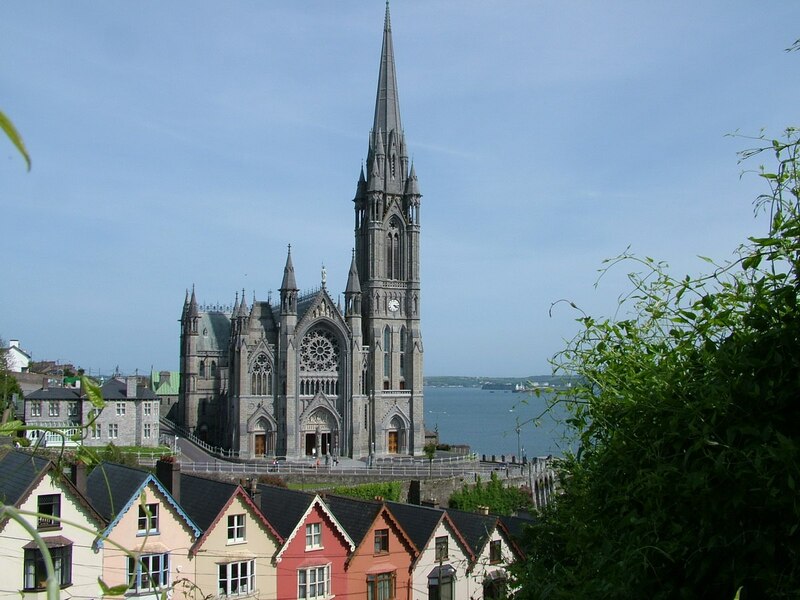 We were not fortunate enough to be in Cobh Town when the 49-bell Carillon of St. Colman’s Cathedral rang out elaborate melodies, but at least we got to hear the marking of the hours as we explored the many facets of the town. The carillon is located in the cathedral’s bell tower. Because the land surrounding the cathedral rises up into a semi-circle, it acts as a natural amphitheatre with excellent acoustics. Over the centuries, the carillon has welcomed ships from all over the world, and bade farewell to thousands of Irish residents leaving their homeland in search of a better life. By the time Bob and I got back to our room, no time remained for a thorough investigation of the gardens. 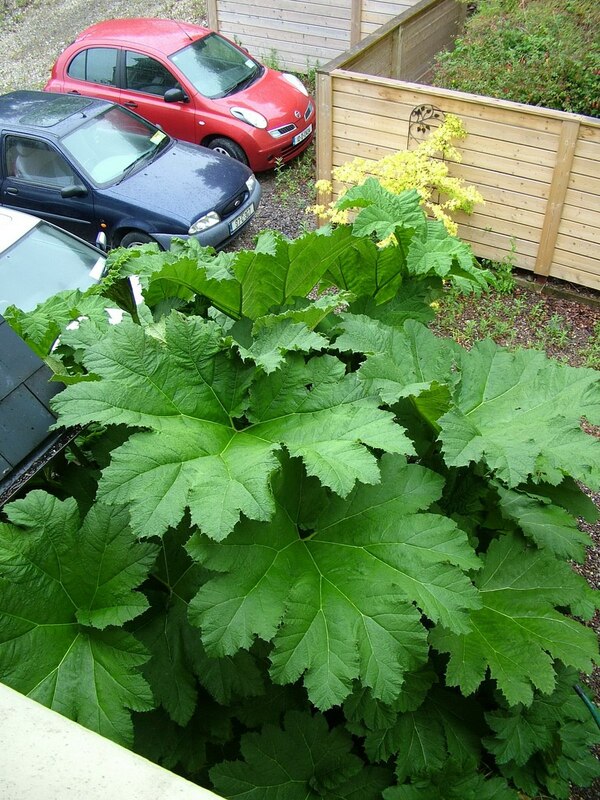 We did take note, however, of the massive Gunnera Manicata plant growing just outside our window. 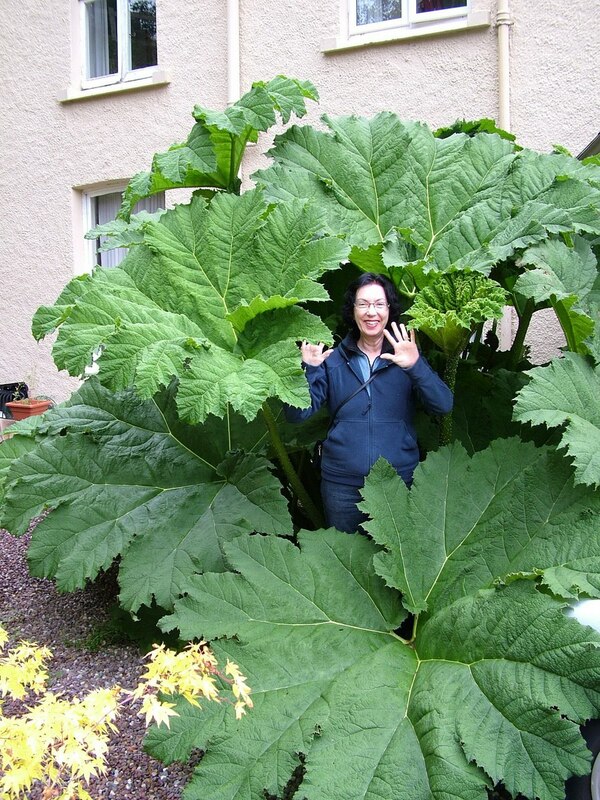 I couldn’t resist stepping in amongst the leaves in order to demonstrate the sheer monolithic size of the leaves. 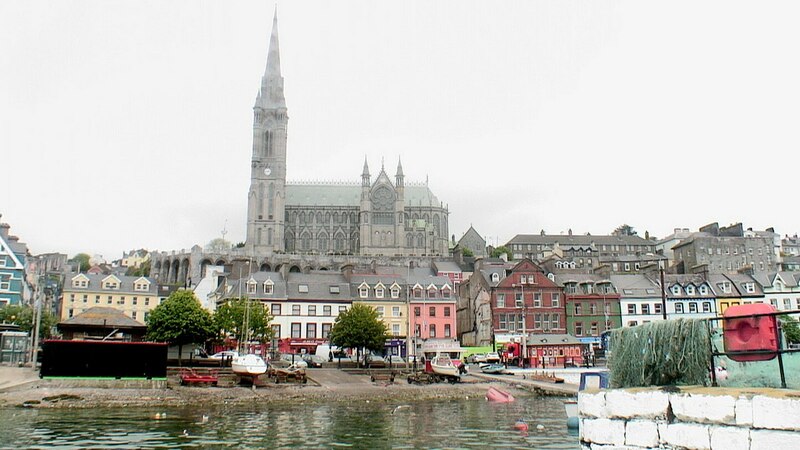 As Bob and I said goodnight to the charming town of Cobh, we already had plans to book passage on a tour boat the next day. We hoped it would give us a sense of the marine history of the town. 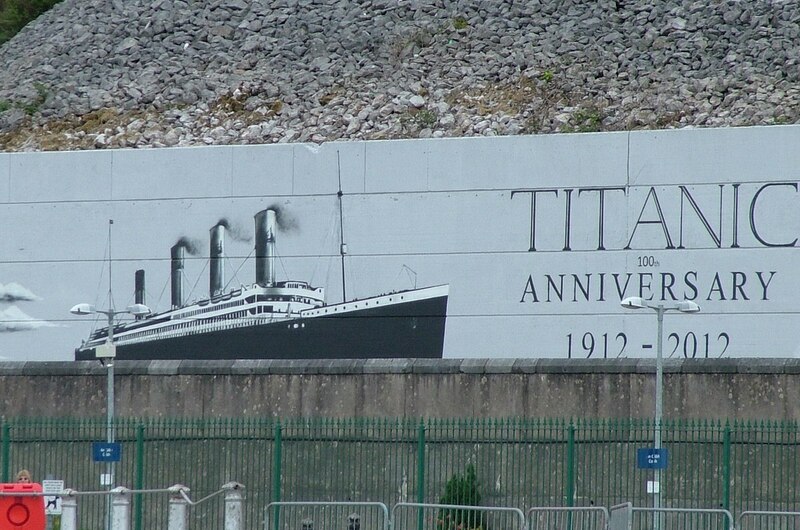 It was there, in Cork Harbour, that RMS Titanic, in April, 1912, made its last stop before heading west across the Atlantic Ocean. 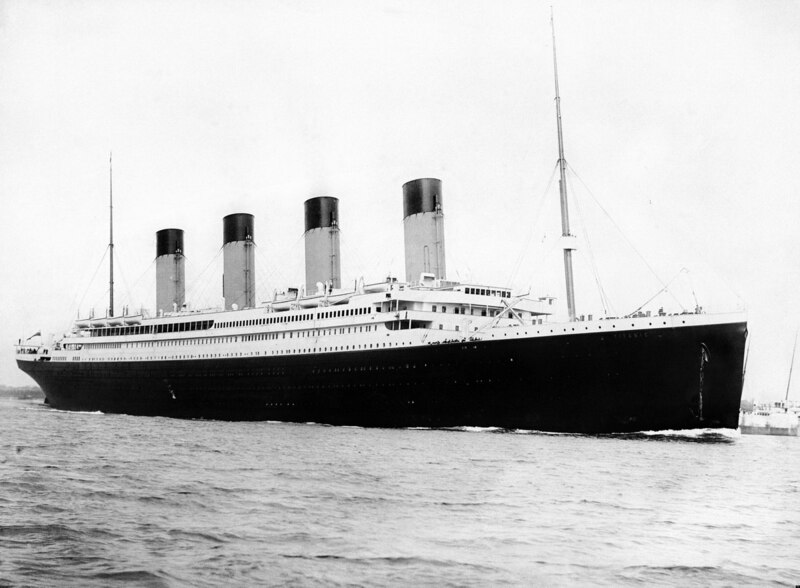 Its fatal maiden voyage saw it sinking off the coast of Newfoundland, Canada. 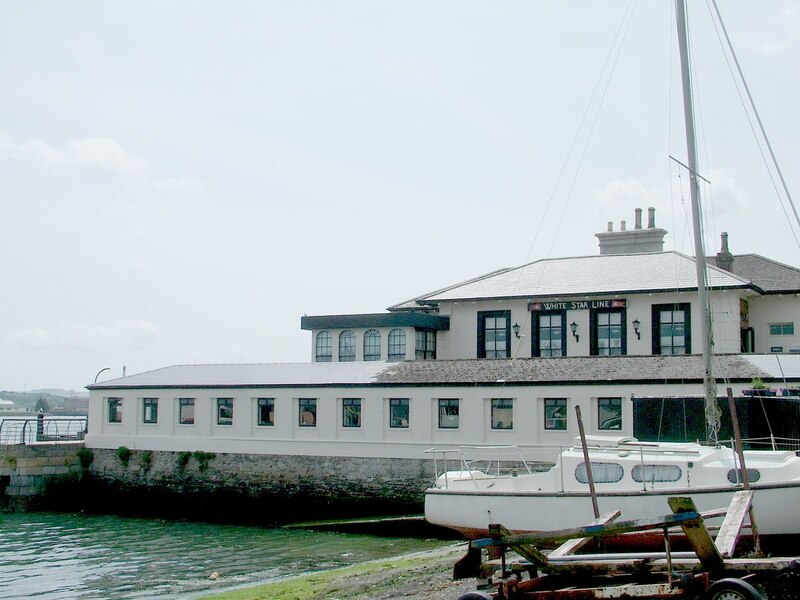 In our next blog posting, we take to the waters of the harbour. 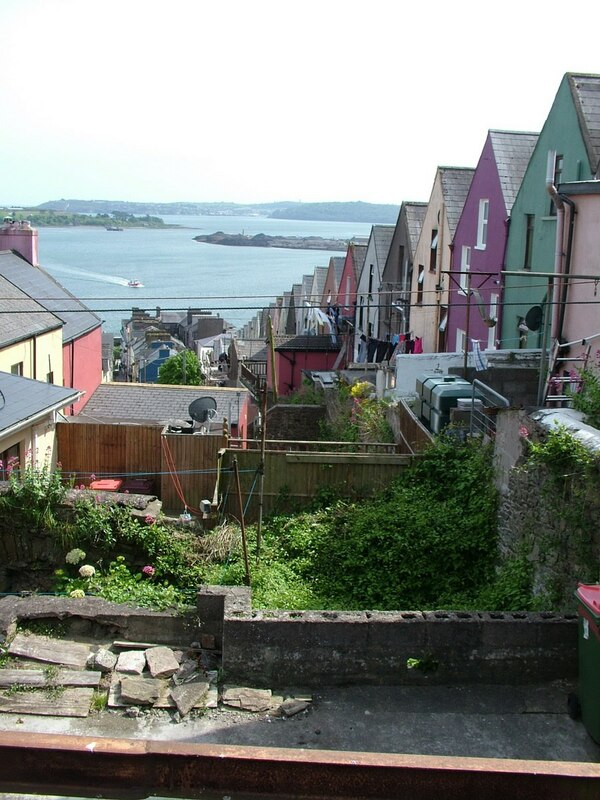 What better way to experience the sight of Cobh as the Titanic’s passengers once did. Jean and I thank you for your comments. My family, on my mother’s side, truly understands what you mean by the “saddest place in Ireland”. They, the McCann’s and the McGrath’s, were forced to leave Ireland in 1847 during the potato famine. Time has passed, but those memories still live strong here in Canada. 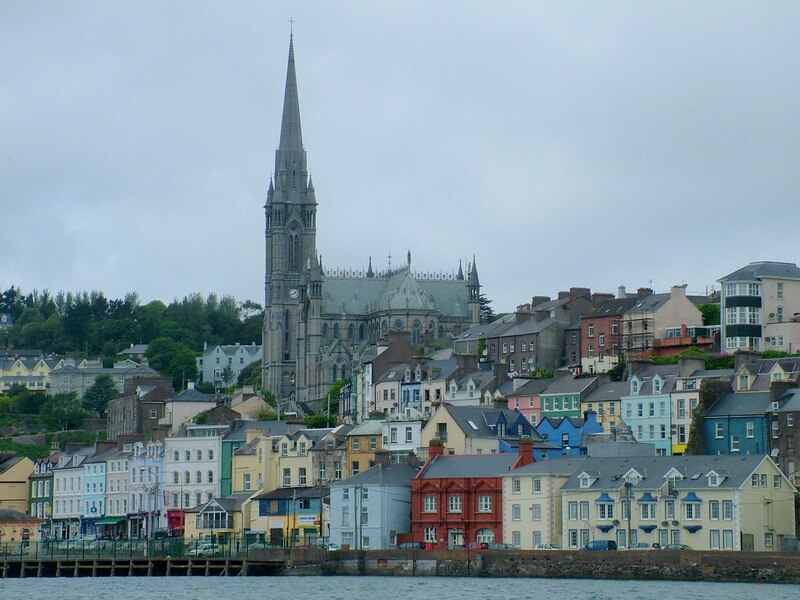 And so, as I walked the streets of Cobh, I thought about the last view my family once had of Ireland from a sailing ship in the spring of 1847. I was the first member of my family to finally return to the Republic of Ireland, and it was a month long trip that Jean and I shall not soon forget. Beautiful trip…thanks for passing it along. Jean and I found Ireland a beautiful place to visit. It often reminded me when close to the ocean of Newfoundland, and even Salt Spring Island back in my home province of British Columbia!